After entering your information into the Body Stat Calculator, click on the results tab to record your results. Start Date – The date you record your first measurements. Measurements Every 7 Days – How often do you intend to measure your results? Weekly = 7 days etc. 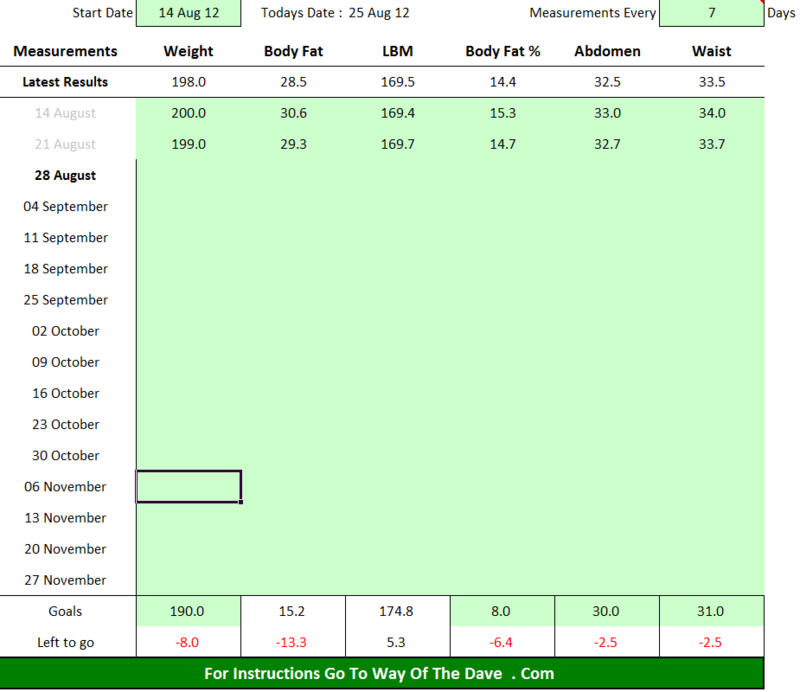 Goals – Near the bottom of the sheet, enter your desired goal weight / body fat % etc. To record your results, highlight the cells along "latest results". Copy the cells (right click and press copy, alternatively, press CTRL and C together). Click on the cell closest to the relevant measurement date (example below). Click paste special. 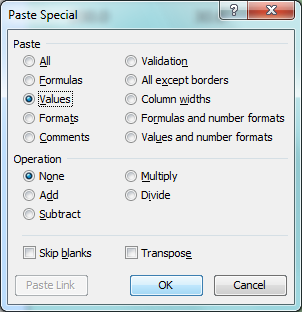 Then select values in the "paste special" menu box. The latest results should then be pasted.